Hosted by Bethel Regional High School. AASG offers many opportunities to make friends and learn from each other. 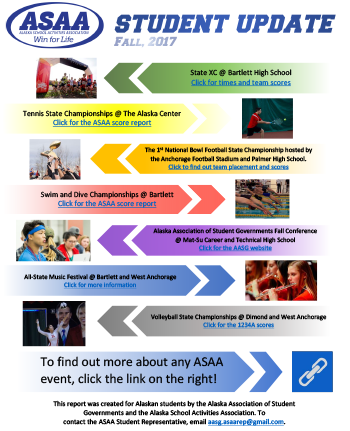 AASG has set up a Facebook Page, has the Beamer Wall at conferences, and builds in lots of time for students to share, from all over Alaska. Delegates have a great time sharing at the AASG Conference.